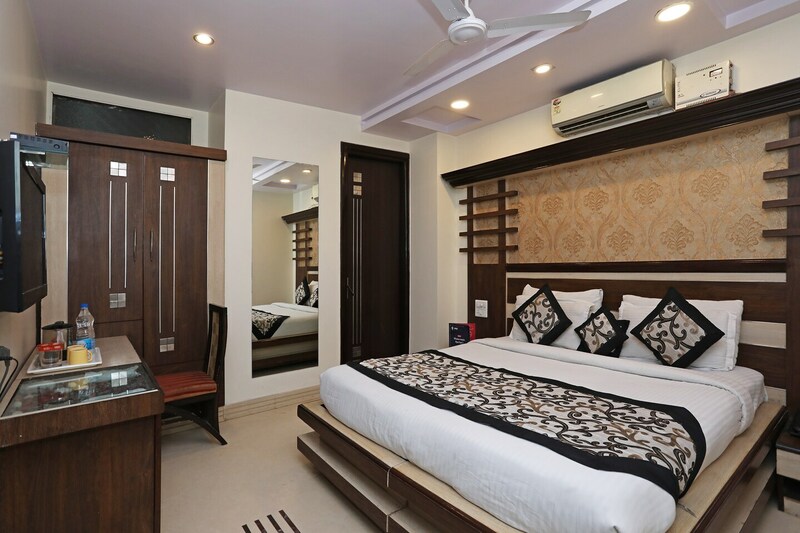 Hotel Metro View Inn is a modern property on Balraj Khanna Road in East Patel Nagar. Delhi Public Library, Rock Garden, Central Ridge Reserve Forest, Sacred Heart Cathedral, and Laxmi Narayan Mandir are the landmarks nearby. In this hotel, it is the furniture and curtains that give color and character to the plain white walls of the room. The rooms come equipped with an AC, TV, and mini-fridge. For added convenience, the hotel also offers facilities like elevator, seating area, and power backup. Cafe Coffee Day, Barista and Leons Cafe are some of the most popular cafes in the locality.